One of the most important decisions you will ever make is deciding who will build or remodel your home. Whether you are in the market to build a new home, finish your basement, or remodel an existing home, you want to work with an experienced construction firm that understands your wants and needs and is able to satisfy them. One of the best ways to ensure those results are met is working with a company that focuses on quality and is able to combine both the designing and building process. The Design/Build process is the most efficient and often the most economical method of construction. Designing Innovations offers all this and more. Our goal has always been to attentively listen to what your priorities are, your lifestyle, wants, and needs and only then design and build the project to meet the home owner's satisfaction. We go the extra mile to exceed all expectations and create a project that puts a smile on your face! You won't find another company that will give you better quality for your money. 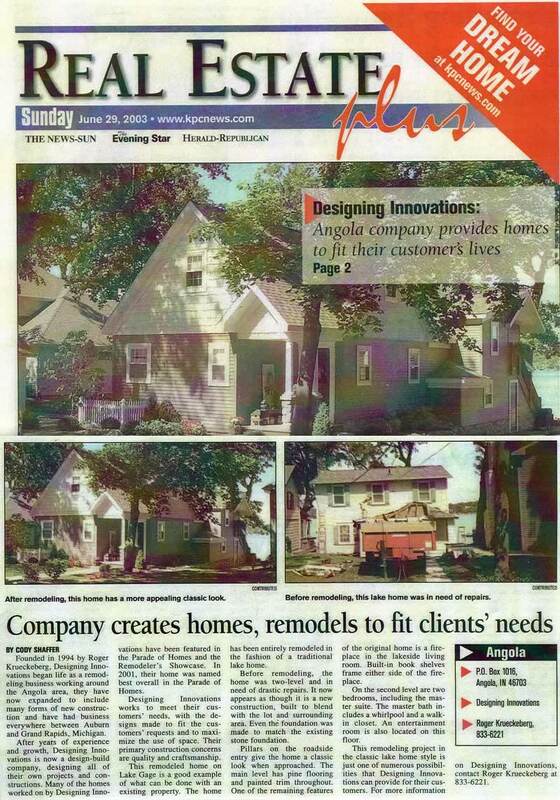 Designing Innovations delivers quality to our clients by specializing in design and building of new or remodeled homes that fit the needs of each individual family. 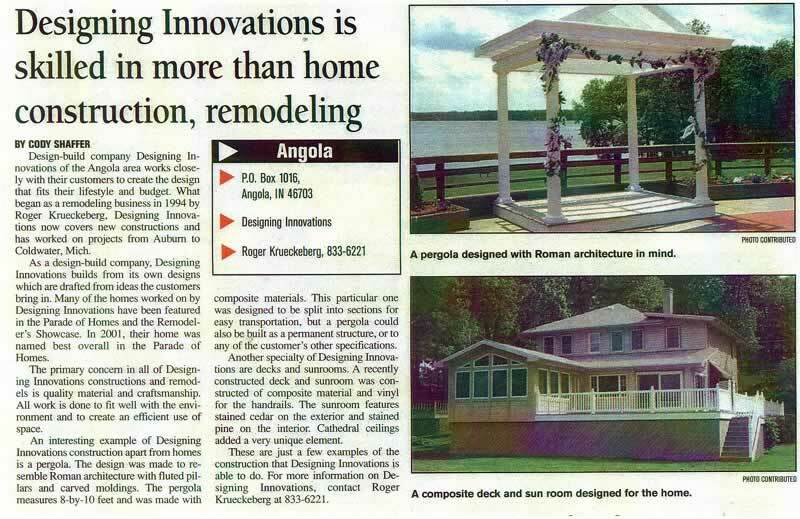 As a full-service design/build company, our expertise and reputation have distinguished us as one of the finest home construction companies in Steuben County, Indiana. Q: Why should I choose Designing Innovations? A: The bumper sticker answer is "Quality & Experience" (ours and yours). A detailed answer looks like this. We design and build for the long term. While many remodeling contractors would tell you that their craftsmanship will last 20 – 30 years, we believe our efforts will still serve 100 years from now. We are students of our trades. We study and implement the ever changing “best practices” for design, construction and installation. Functional, beautiful and built to last.